Bukit Lawang "Rafting Tour Sapari"
No where else on earth can you find the vast expanses of mind-blowing nature than SUMATERA. The Green Xplorer rafting region encompasses four national parks: Gunung Leuser National Park Reserve, Wampu river Asahan river, Bohorok river. The Wampu river Wilderness Park. The area is home to many rivers, but two of the most popular for whitewater rafting are the incomparable Asahan and Gurah river whose confluence is considered by many to be one of the most special places on earth. Expeditions on the Wampu river are one of the more highly coveted trips for whitewater rafters from all corners of the globe. In a region of spectacular rivers, the Wampu stands out for its amazing scenery, beautiful water, and rich wildlife. Tangkahan, referred to as the hidden paradise in Sumatra located in border area of Gunung Leuser National Park, is an ecotourism area in the Langkat district of North Sumatra, just two hours drive from the neighbouring ecotourism site of Bukit Lawang or four hours drive from Medan. In the 1980s and 1990s, local people were actively cutting down trees illegally from the park for commercial timber. However, after a time the people became aware of the damages wrought by such activity and the errors of their ways, and thus collectively decided to stop illegal logging and transform the area into an ecotourism destination. 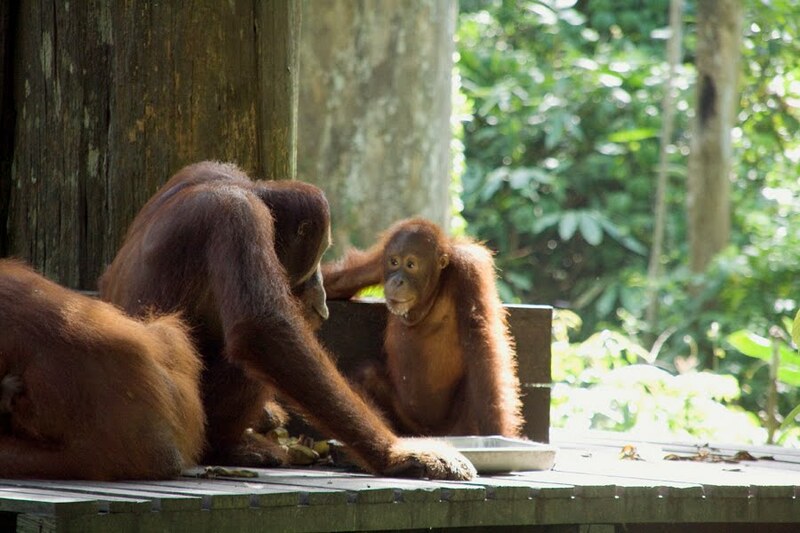 Thus in April 2001, the residents gathered and passed local regulations prohibiting illegal exploitation of the forest and established the Tangkahan Tourism Institute (Lembaga Pariwisata Tangkahan, or LPT). LPT established an MoU with GNLP Management in April 2002 to manage the Tangkahan forest for ecotourism purposes. LPT developed the Community Tour Operator (CTO) system, which provides accommodation and local tour guides for visitors. In addition to amazing Gunung Leuser National Park forest trekking in the area. Tangkahan is combinations of vegetation and topography makes it a marvellous tourist spot rarely found elsewhere. The Batang and Buluh rivers, converging exactly in this zone, are typical of rainforest streams, with diverse varieties of vegetation and colourful rocks and Sumatra Elephants on their banks. The clear, bluish green river water against the panoramic view creates a mystical atmosphere. The Best season to Visit is June to October. -Two days and one night -Gunung Leuser National Park. Gunung Leuser National Park represents several ecosystem types, from coastal forest ecosystem through tropical lowland forest ecosystem to montane forest ecosystem. Most of the Park area is covered with thick Dipterocarpaceae forest with rivers and waterfalls flowing through it. There are some endangered and peculiar plants, namely daun payung raksasa (Johannesteijsmannia altifrons), rafflesia flowers (Rafflesia atjehensis and R. micropylora), and Rhizanthes zippelnii-the biggest flower, with a diameter of 1.5 metres. In addition, there is one plant unique to the area: the ara, a strangling plant. 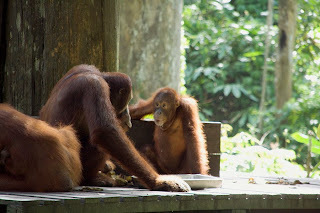 Endangered and protected animal species which inhabit the Park include orangutan (Pongo abelii), siamang (Hylobates syndactylus syndactylus), Asian elephant (Elephas maximus sumatranus), Sumatran tiger (Panthera tigris sumatrae), Sumatran rhinoceros (Dicerorhinus sumatrensis sumatrensis), serow (Capricornis sumatraensis), great hornbill (Buceros bicornis), sambar deer (Cervus unicolor), and leopard cat (Prionailurus bengalensis sumatrana). Note : Extra 10 Eu/p for rafting back to Bukit Lawang.